Áine has been active in the Anti-Money Laundering compliance area since 2007 and in Data Protection since 2015. She has particular experience in the area of Anti-Money Laundering customer due diligence. 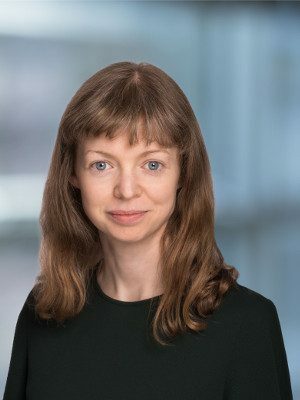 As a Consultant she acts as the Money Laundering Reporting Officer (“MLRO”) to Irish investment funds and advises them on Anti-Money Laundering issues. She is also a certified Data Protection Officer (“DPO”) since 2016. Prior to joining KB Associates, she held senior positions with Citi and Bank of America Merrill Lynch with responsibility for customer due diligence across a number of jurisdictions. Aine holds a Master of Arts in American Literature from University College Dublin, has completed the Professional Diploma in Compliance (LCOI) and the Professional Certificate in Data Protection.